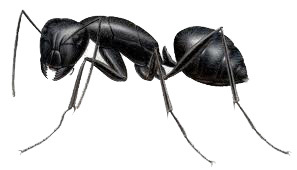 Species of our local ants include: argentine ant, pavement ant, odorous house ant, thief ant, velvety tree ant, and up in those foot hills the CARPENTER ANT. Ants are constantly foraging and it’s just a matter of time before they end up cohabitating with you. If you don’t take care of them before this happens then you have to be careful not to make the problem worse. Be sure not to buy over the counter sprays and spot treat the problem. When you spray you are only eliminating a small percentage of the colony and making them spread throughout your house. If a problem arises call us, we’ll be right out. 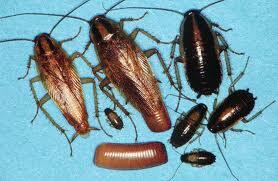 Our local species include: german cockroach, oriental cockroach, vega cockroach and the american cockroach. 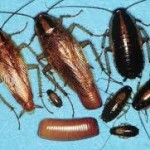 The most invasive cockroach in our region is the german cockroach. They can invade homes by the thousands. The reason why they can do this is because they have one of the quickest reproduction rates. When environmental factors play a part you can go from 1 cockroach to a thousand in 1 year. Other cockroaches in our area are not so invasive but they do love to occasionally visit inside our homes. Treatment: If we set up a treatment for you this is our guide that you need to follow to ensure we are able to perform our service properly. *Empty all cabinets and drawers were the cockroaches are present (kitchen and bathroom typically). Leave NOTHING remaining in them. Also clear all countertops. *Cover removed food, dishes and appliances (Typically remove these items to untreated room and cover). *Remove all pets from premises (cover fish tanks and filter during treatment if possible). *Do not re-enter premises until chemical has dried (typically 4 hours). Fleas are every pet owners nightmare. Every year it’s the ever losing battle. With a little knowledge and professional services we can help to control this nuisance pest. Unmowed lawn – fleas can’t live in maintained lawns, they need tall grass to shade them from the sun. Stray animals – stray cats, possums, skunks and squirrels all carry fleas and can bring them to your front door. 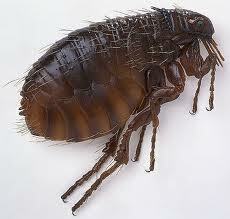 Household pets – if you have an inside outside pet then you are at a high risk to bring fleas into your home. *Mow lawn and all tall grasses and weeds (day before treatment). *Water lawn heavily to help drown out fleas (day before treatment). *Pick EVERYTHING up off of carpet inside of home other than furniture (clothes, toys). *Launder all clothes, bedding and anything that the fleas may have laid there eggs on. *Vacuum all carpet and area rugs (empty bag or canister into outside trash).